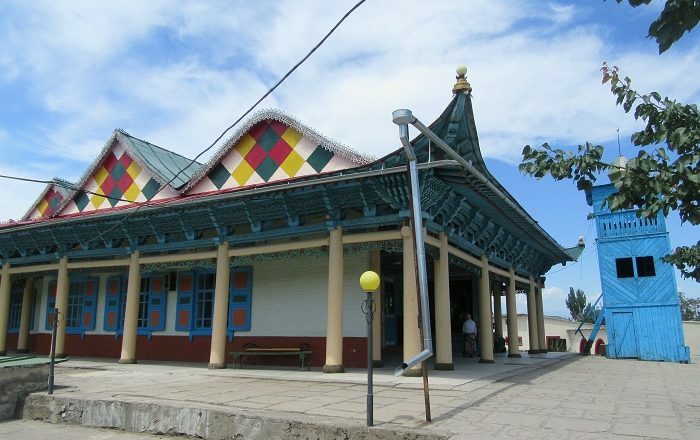 The Dungan Mosque is a uniquely shaped and very distinguishable mosque that is located in the center of the fourth largest city in the Kyrgyz Republic, Karakol. 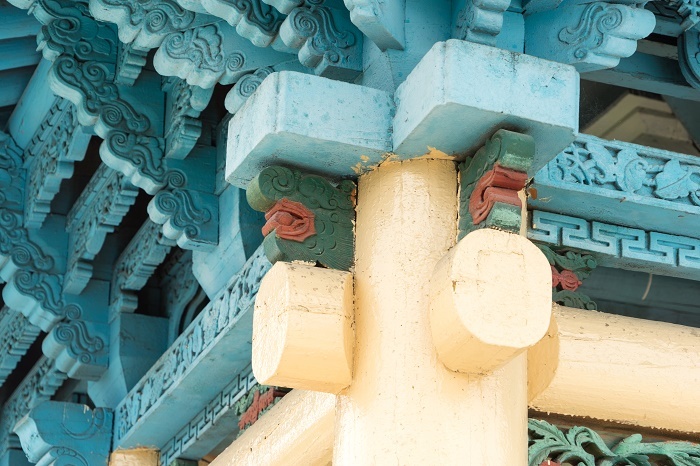 This exotic-looking building at first glance might be mistaken for a Buddhist temple, since the main architect for the design was Chow Sze who together with 30 other architects built this amazing structure. Constructed between 1907 and 1910, the mosque has one floor and it is built using wood only without using any nails. 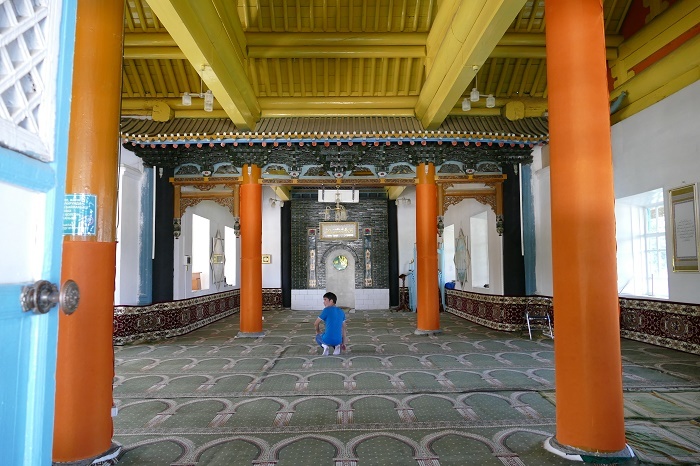 The used system of grooves and slashes is a very unique to the Asian cultures, and this Islamic religious center was built in order for the Dungans, who are Chinese Muslims that fled persecution in 1880s, to have a place to pray. 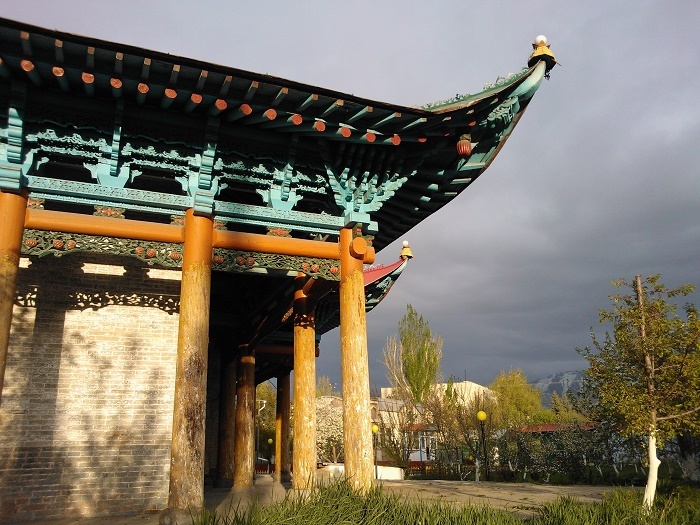 Another interesting feature is the tall structure next to it which serves as a minaret, but it looks more like a wooden pagoda. 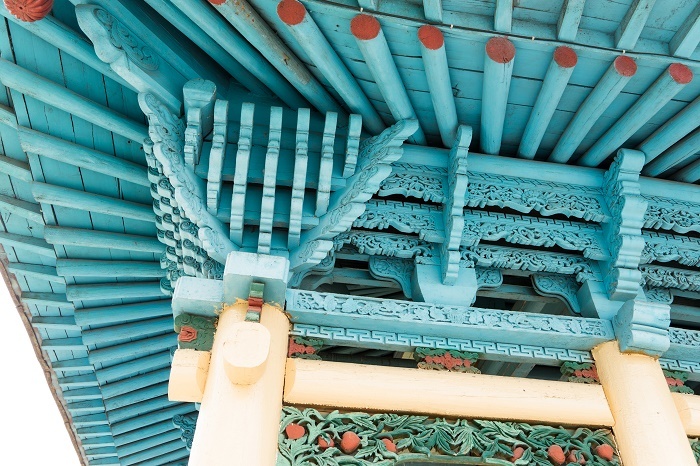 The interior is representing the eclectic mix of Dungan’s pre-Islamic Buddhist past, with the folk symbol of longevity, the pomegranate, is combined with Buddhist imagery such as the shell and wheel of fire as well as representations of dragons and phoenixes that reflect the unmistakable influence of Chinese mythology. 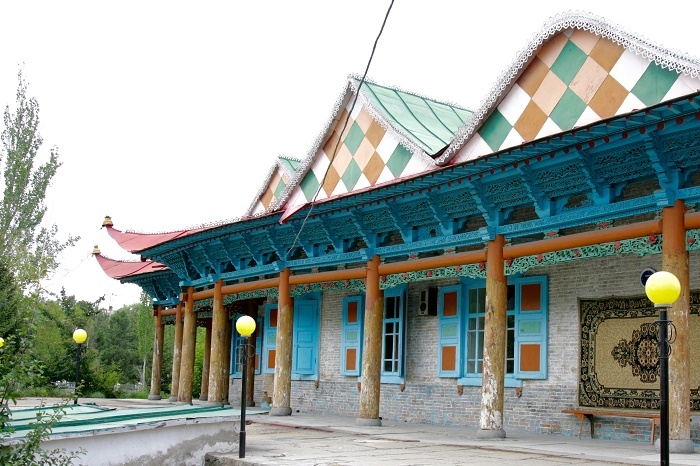 The exterior is even more extravagant, as it has a tip-tilted roof with corners which are decorated with dragon figurines, and the colorful façade of red and purple columns with the green roof is definitely the attention grabber when visiting Karakol. Unfortunately, the mosque was closed between 1933 and 1943, and luckily it survived the early Bolshevik era which destroyed the other eight mosques that were in the city. 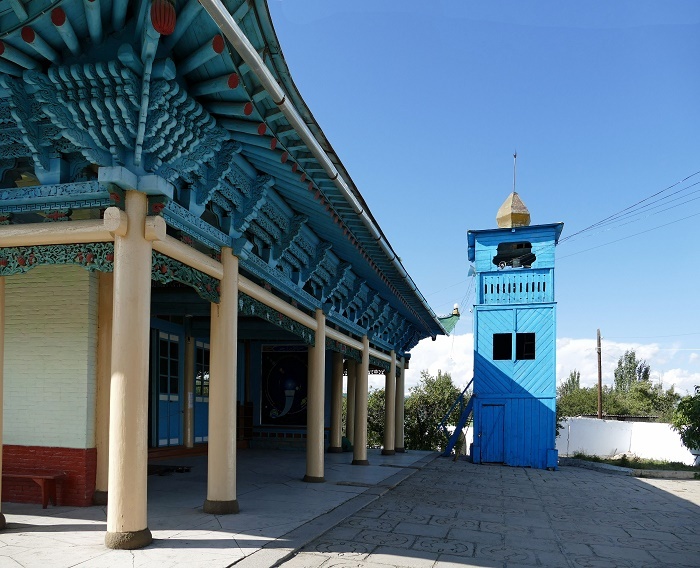 Nowadays, the Dungan Mosque is the worship place for the Kyrgyz people as well as to the Dungan, allowing also foreign visitors to go inside from time to time. 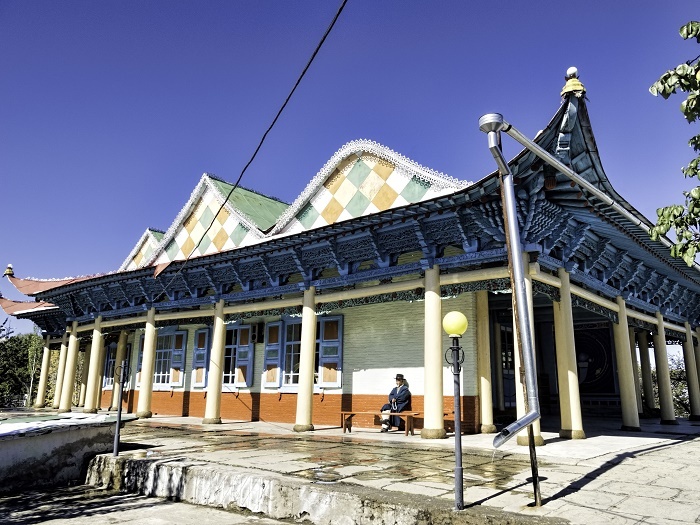 With very turbulent past, the mosque was renovated in 2017 with the help from the Turkish government, allowing every single visitor of Karakol to be able to gaze for a long time and marvel at the beauty the religious structure transmits in the area.